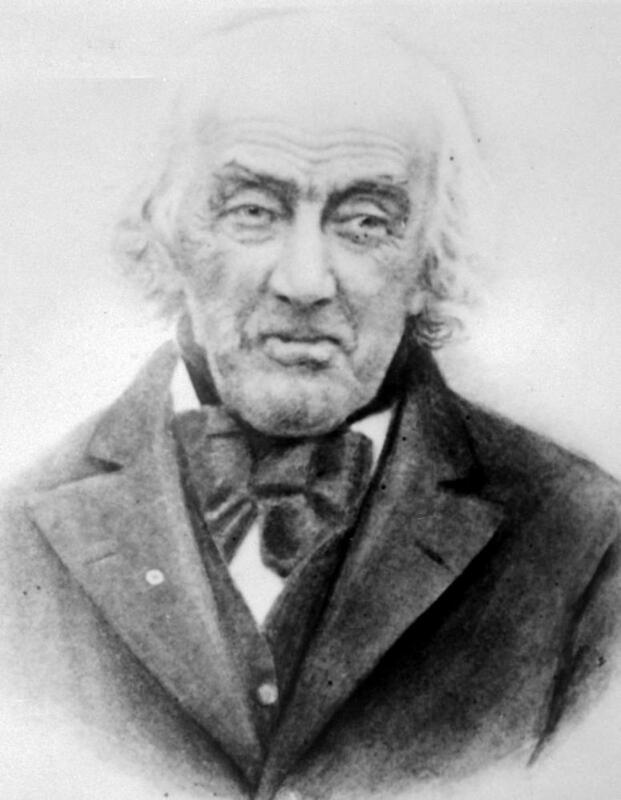 An early Chilliwack settler, Volkert Vedder was born in 1808 in the Dutch colonial settlement of Schedectady, New York. Shortly after his wife died in 1852 (at the age of 38), the widower left the state of New York with his three sons and headed west to California, like thousands of other fortune-seekers, in search of gold. After several years in California, Vedder and his two sons, Adam and Albert (son John died in California) headed north in 1858 as word spread of another gold strike north of the US border. Volkert Vedder returned from the Cariboo around 1860 to settle in Chilliwack, pre-empting (or claiming for agricultural purposes) 160 acres of land in what would become Yarrow. The size of his land would later increase to over 1500 acres when Adam and Albert ended their stay in the Cariboo in 1868 – joining their father in Chilliwack. Vedder’s land was surrounded by a mountain now bearing his name. Other Chilliwack locations named after the pioneer family include Vedder Road, Vedder Crossing and Vedder Canal. Volkert’s son Adam – born in 1833 – was a young man of twenty six when he first arrived in B.C. via California with his brother and father. 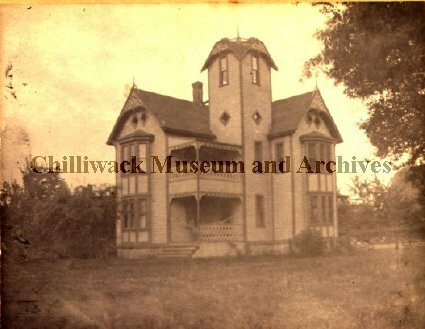 Adam worked in the Cariboo during the 1858 gold rush as a butcher, a builder as well as operating a freight business before settling in the Chilliwack area during 1868 to farm, becoming a well-known dairy farmer. 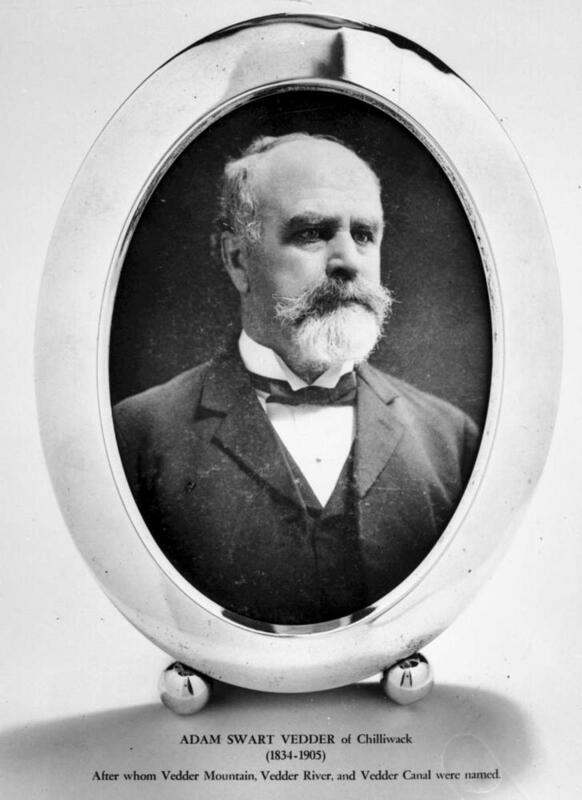 Adam Vedder served the community in several major ways – he served as warden of the Township of Chilliw(h)ack, was appointed the first postmaster for the village of Sardis (named by Vedder after one of the seven churches in the book of Revelation) and served as a Liberal MLA in Victoria in 1894. The post office was located in his home, where the intersection of Knight and Vedder Road is today. Volkert Vedder died in Sardis on January 31, 1898 in his 90th year at Adam’s house in Sardis. Son Albert died on January 17, 1876 at the age of 40 and Adam Vedder lived until August 19, 1905 when he passed in his 72nd year.